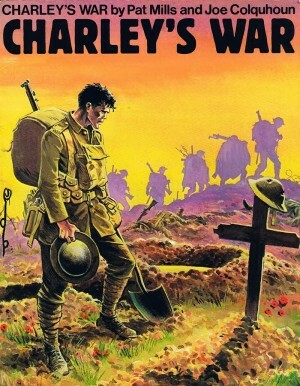 Charley’s War is an extremely rare comic bearing a reputation that has vastly increased over the years. 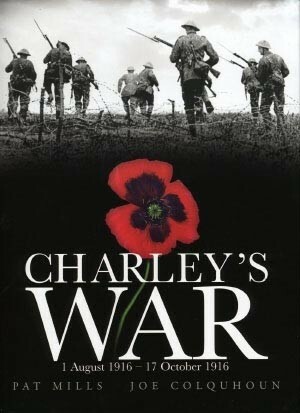 It was first serialised in the British weekly boys comic Battle, where a strip about a World War I volunteer rooted in realism nestled uneasily among the more traditional gung-ho material such as the Dirty Dozen influenced Rat Pack, The Eagle, single-mindedly set on assassinating Hitler and D-Day Dawson, the man with a bullet pressing on his heart. 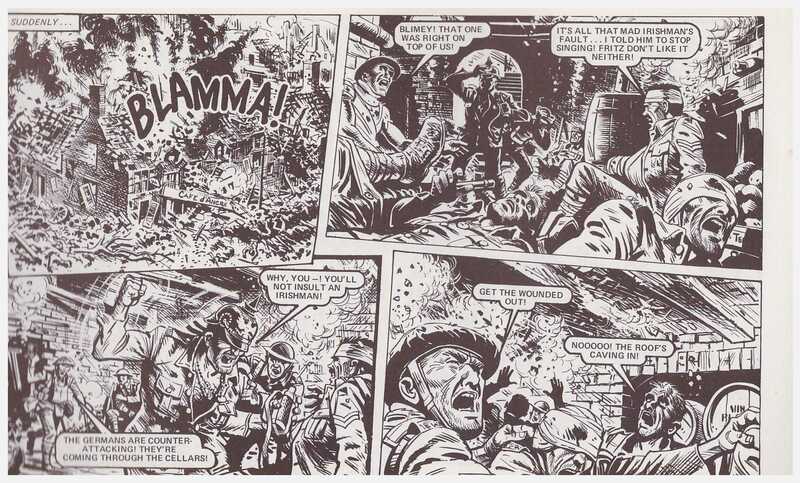 When it was suggested Pat Mills write a World War I strip to contrast the other heroes in Battle his natural sensitivities railed against the traditional officer’s recollections, yet his initial research only located this type of material. He eventually discovered just four books about the conflict written by ordinary working class soldiers, and based much of the narrative on these. Interestingly, Mills chose to start his strip halfway through the conflict, throwing his cast straight into the Somme offensive. 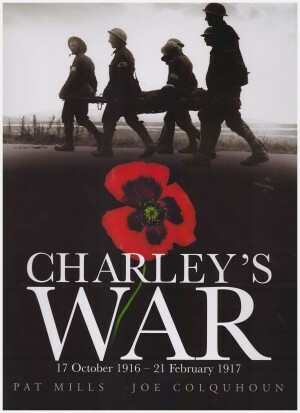 Mills’ view of World War I as senseless conflict seeps from every page, yet his indignation never supplants an inclination to provide a story, instrumental to the reputation the strip now holds. 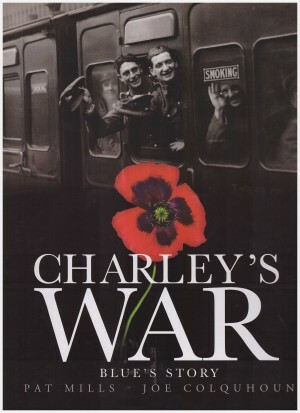 Charley forges friendship in adversity, endures mustard gas, becomes trapped behind enemy lines, and makes the acquaintance of the privileged Lieutenant Snell, a villain far in excess of the ordinary German combatants. All the effort Mills ploughed into research would have amounted to nothing without a competent artist, and that wasn’t necessarily guaranteed on Battle where meeting a weekly deadline was the priority. In Joe Colquhoun (pronounced Cohoon) he was allied with an exceptional artist. Colquhoun claimed he lacked the imagination to draw science-fiction, which seems unlikely, but give him a character based drama and he was astounding. He created instantly recognisable cast members and imbued them with life. Charley Bourne matures as the strip continues, his experiences defining character, and Colquhoun incorporated that in his depiction. In the pre-internet era he must have researched his material like no artist since the days of Harvey Kurtzman’s 1950s war comics, and in addition to the accuracy Colquhoun never stinted on the detail. Midway through this opening volume there’s a sequence set in a near demolished French village and the effort he expends in depicting the rubble is astonishing. 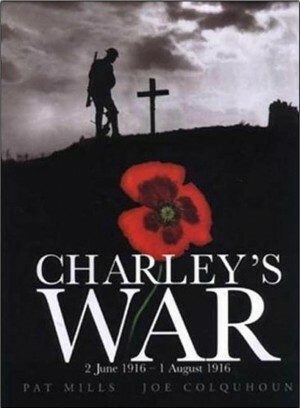 Titan first produced a paperback edition of Charley’s War in 1983, with another following in 1986, both with evocative colour covers by Colquhoun. They’re slimmer, with this volume incorporating approximately 75% of their combined content. Alas in the 1980s, those who’d read and enjoyed the strip weren’t that far removed from the first experience, and, for the most part, they weren’t readers who ventured into comic shops. A better distribution system able to reach that audience eventually resulted in the entire series being reprinted in these hardbound volumes. They all have insightful notes from Mills, frequently railing against the insensitivity of the editorial staff, and the recent access to Colquhoun’s original art is soon to lead to revised editions with greater clarity. 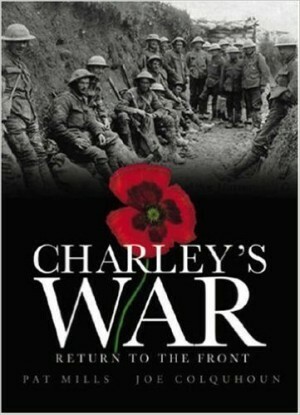 Volume two covers 2nd August 1916 – 17th October 1916.